The machine's body is made of painted steel. At customer's request can be made of stainless steel. Bowl, spiral, scraper and the bowl guard are made from high quality stainless steel. At customer's request bowl guard can be made full of polystyrene. 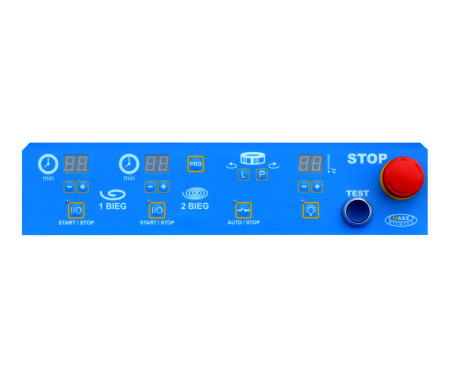 Digital electronic control panel is highly readable with a sensor measuring the temperature of the dough. The bowl is lid by a halogen lamp. 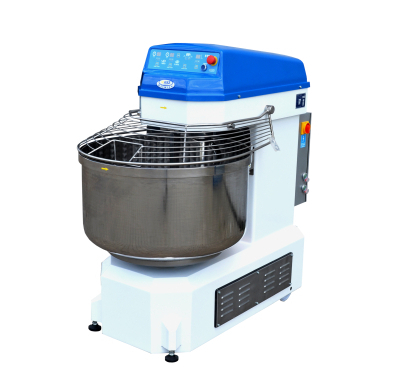 We also produce mixers with a touch control panel. 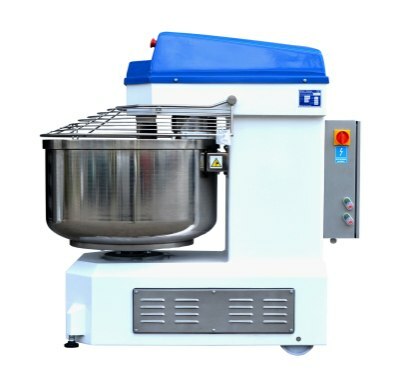 Machines have a two speed motor drive and each run is equipped with own timer, additional circuit allows for the continuation of the mixing process in case of electronic system failure. Belt transmissions used in the device, provide silent operation of the machine as well as reduce operating costs. It is due to the innovative design and high quality of our products that they are so highly-regarded. 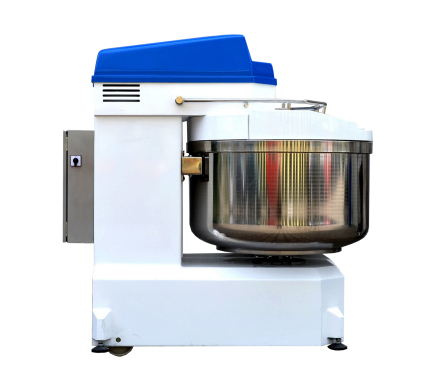 Each part of the machine that comes into contact with food is made of high quality stainless steel ensuring long life and durability. The crucial parts; the oil pump, hoses and pistons are of high quality Germany manufacture. 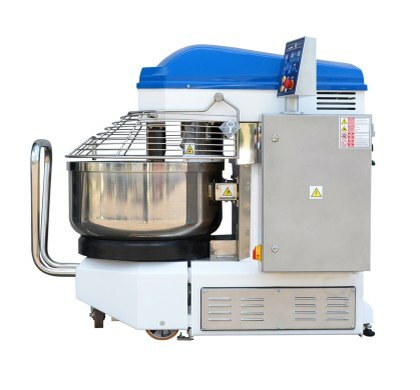 All our machines are produced according to UE regulations and are CE certified and meet all bakery regulations. 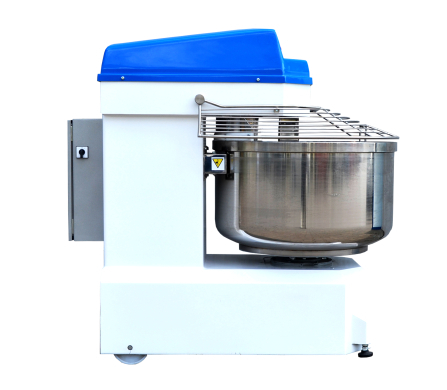 The machine is used to transport the dough from the bowl to the divider hopper, hopper or oven to the table. 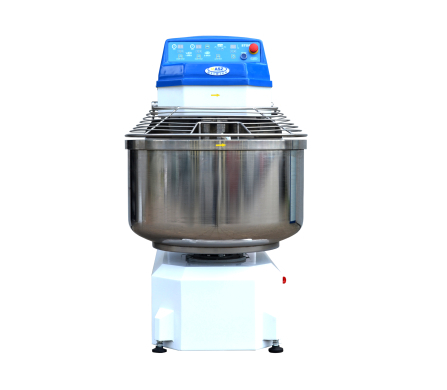 It is produced in versions for all types of kneading troughs manufacturers of rotation to the left or right. 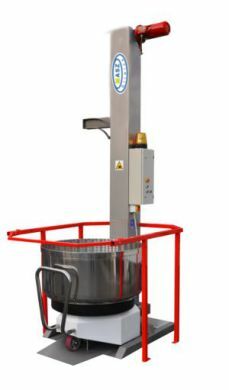 Plating and covers in all versions are made of stainless steel approved for food contact.